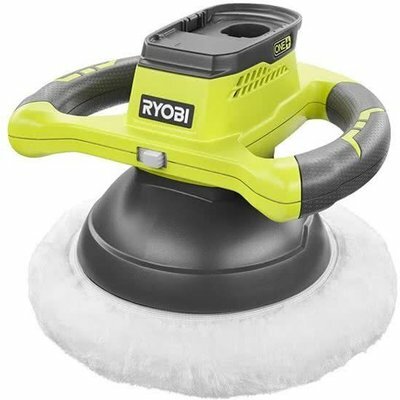 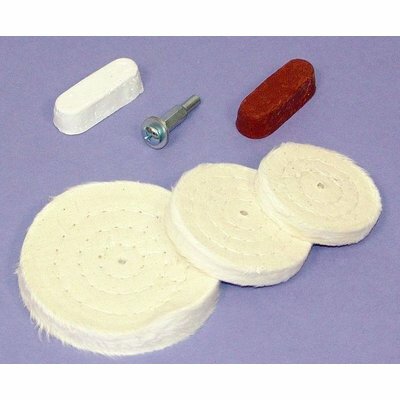 This Cleaner has been specially developed for machine use, but is also excellent to use by hand. 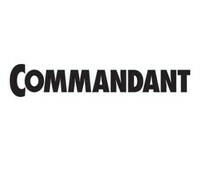 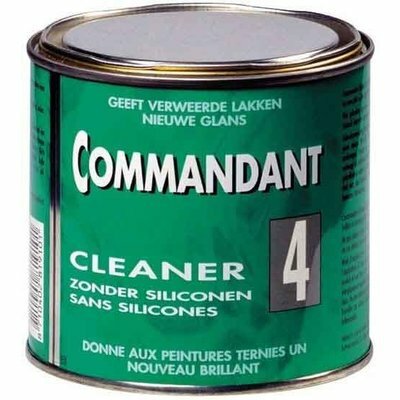 This Commandant M4 is silicone-free. 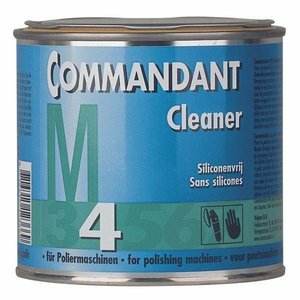 Commandant M4 Cleaner is fine polishing paste for use with the polisher. 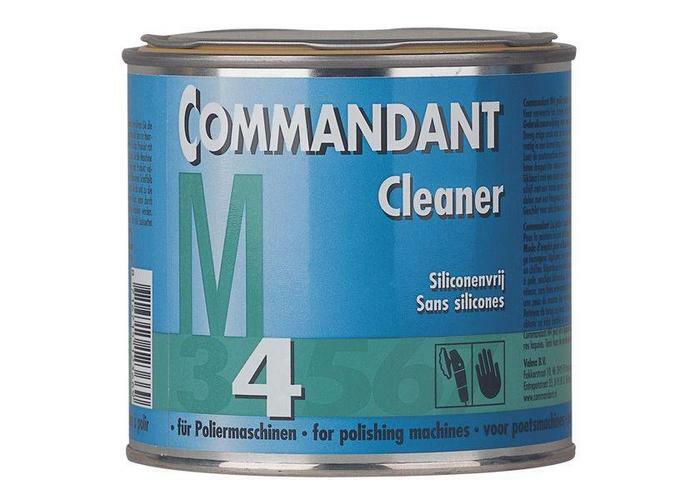 Suitable for polishing weathered paint, removing scratches and minor unevenness. 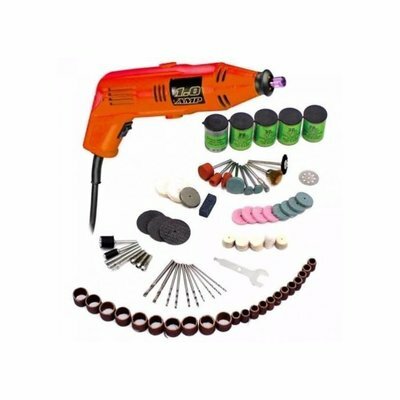 M4 is extremely suitable for, for example, removing scratches from nails and keys at the handles of doors. 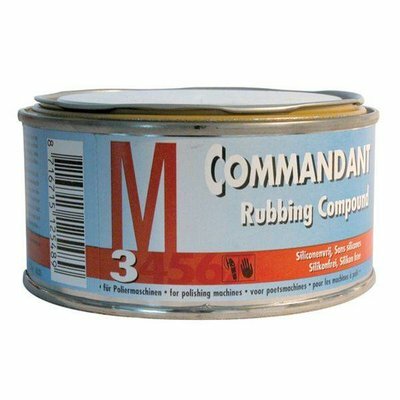 The silicone-free and solvent-free composition of Commandant M4 is suitable for all types of paints. 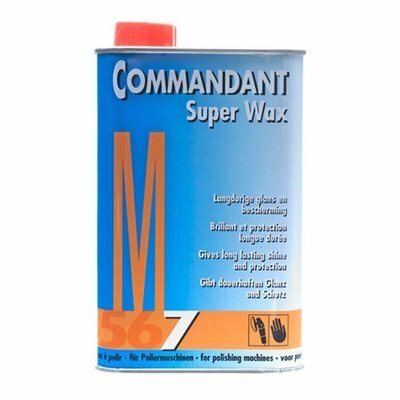 Commandant M4 contains a high percentage of special abrasive that ensures a perfectly smooth result, even on metallic paints.